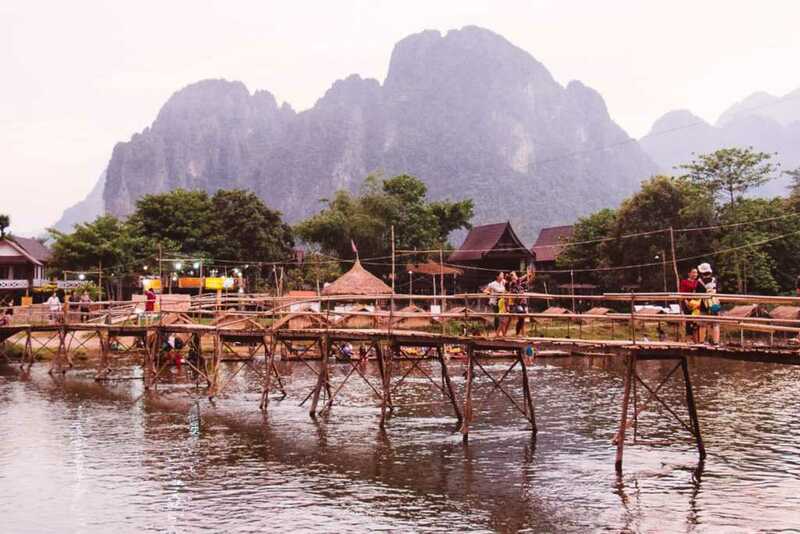 Vang Vieng was known for being one of the hotspots of the backpacker party crowd. 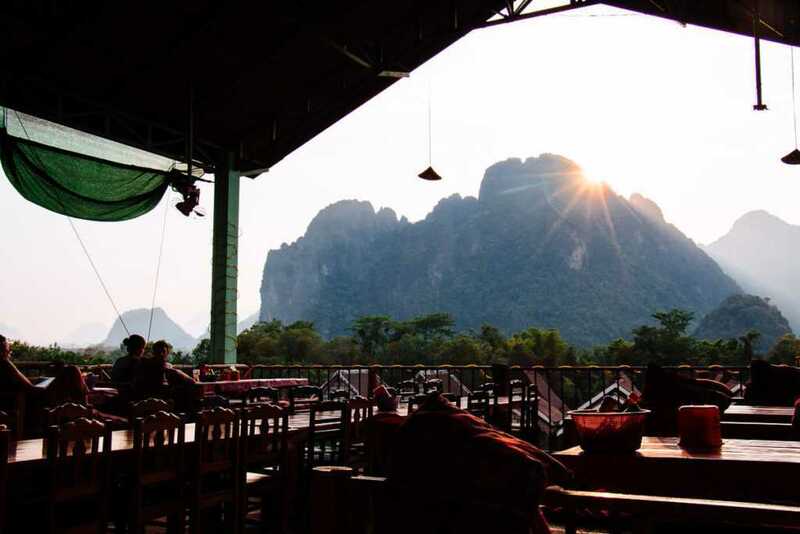 Cheap booze and probably some other substances plus the feeling of being in the middle of nowhere made Vang Vieng one of the top destinations in South East Asia if you are 21 and all you want in life is party all day with less money possible. Well, my party times aren’t over yet, but still – I have to admit that cheap alcohol in a dirty bar doesn’t impress me anymore. 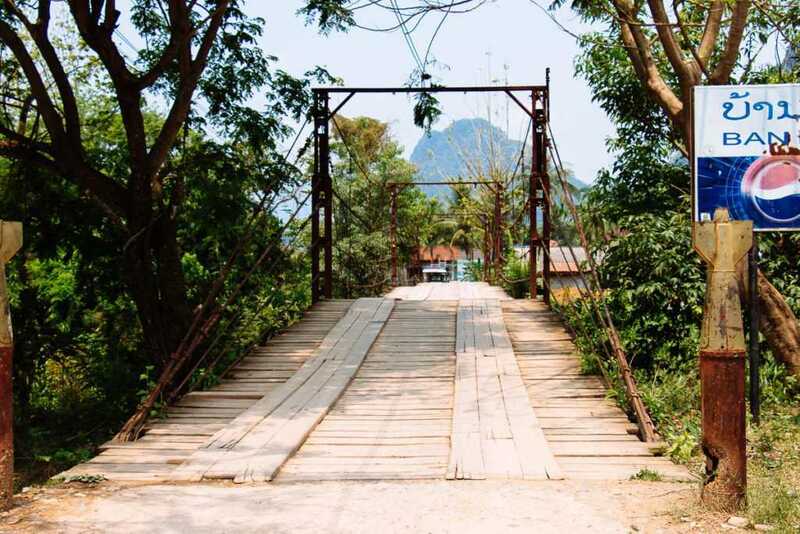 So I had my doubts when arriving in Vang Vieng, but apparently, they weren’t necessary. The arrival was different already. It felt like being part of those road movies, where a bus drops you off on a dusty road in the middle of nowhere. 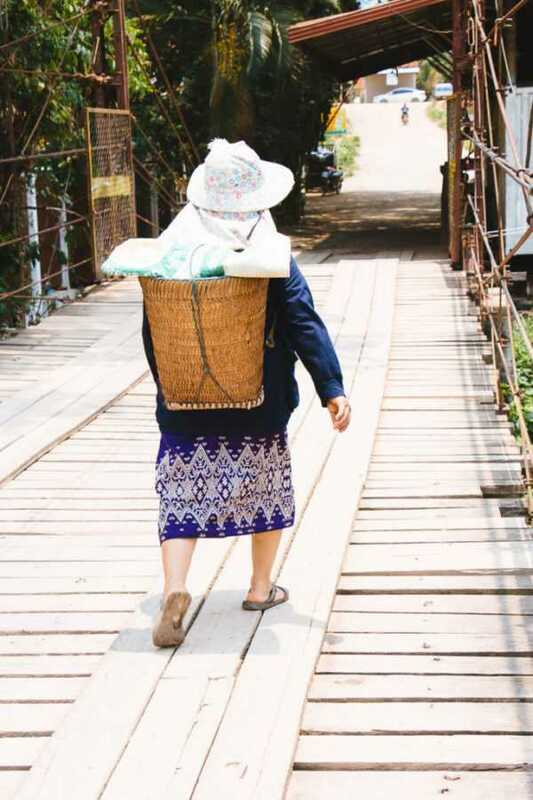 I took a bus from Luang Prabang, and they usually continue to Vientiane, so Vang Vieng is just a quick stop in the middle of the 8 to 9 hour bus ride. 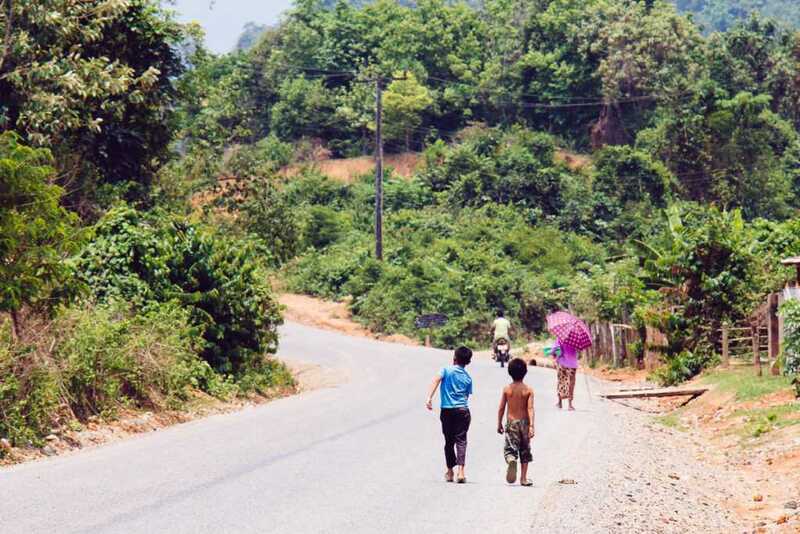 So I got off at the bus stop in Vang Vieng, which is actually just a wooden hut at the side of an unpaved road, and waited for the dust cloud the bus left me in to pass. I walked into town like a lonely cowboy in a bad western movie and it was one of those travel moments you hate because you’re sweating, you’re tired, you’re hungry, your luggage is heavy – but somehow also one of those you love because it gives you this feeling of freedom – and you just know you are creating unforgettable memories. 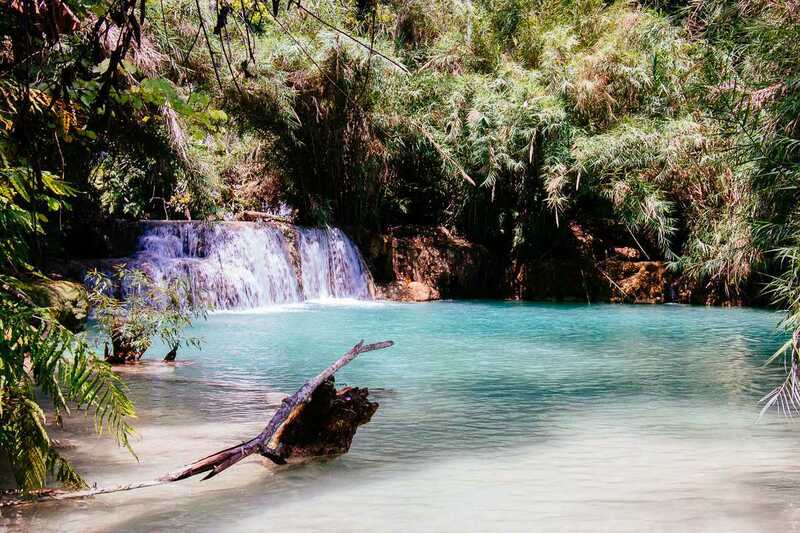 Vang Vieng turned out to be more a chill-out place than a party town. 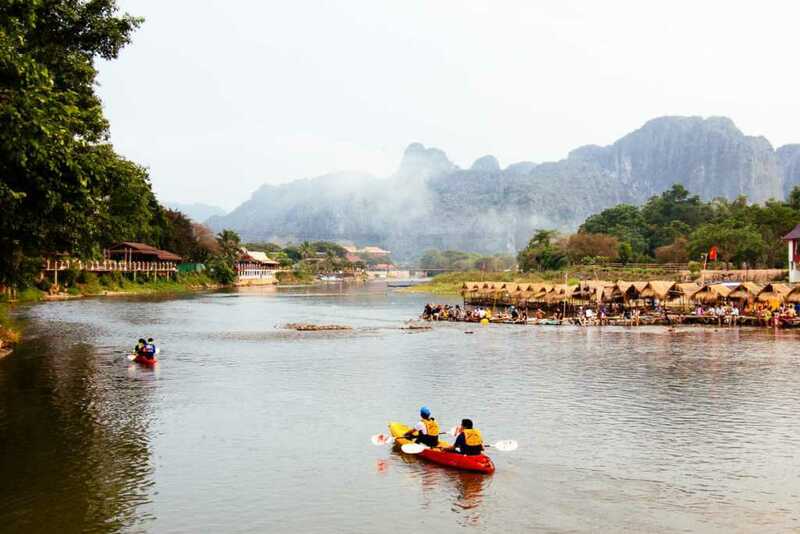 This may be due to the fact that it was low season but many people assured me that Vang Vieng has changed a lot after a few unfortunate incidents and accidents in the past where tourists were injured because they thought that vodka, sun and tubing would be a great combination. Anyway, tubing is still big in Vang Vieng, just rent one of those old recycled truck tires and enjoy floating on the Nam Song river. 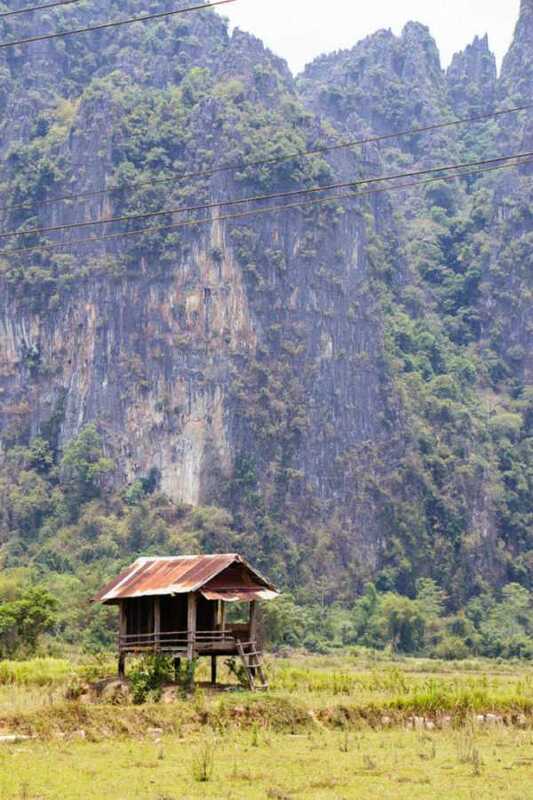 Or visit one or two or three or more of the caves in the mountains around Vang Vieng. 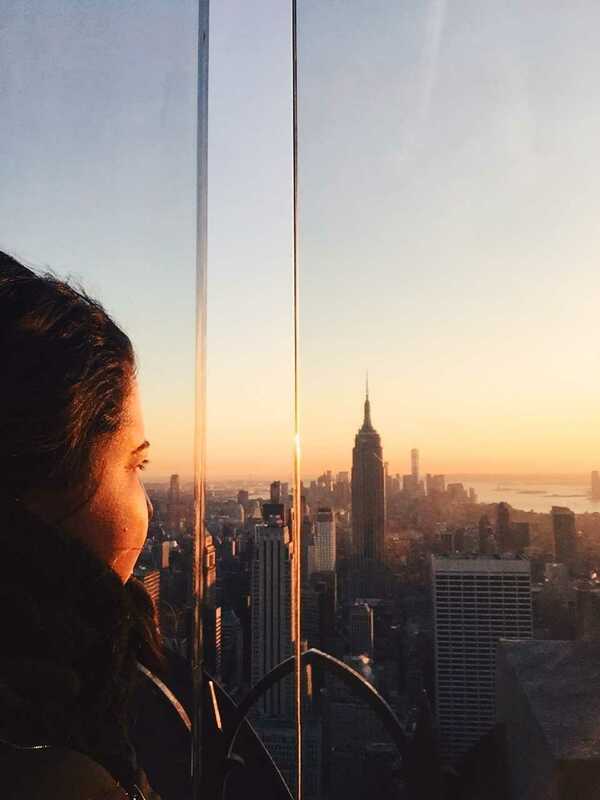 Or chill the whole day in one of the typical backpacker bars and watching all ten seasons of Friends. Until you’re feeling like you’re back in the 90s again. Next Route 66: A road legend and its stories.